The Tacx Deva bottle cage comes in a zodiac of colours to coordinate or contrast with your steed, and in two flavours - pure carbon or this enticing composite made from polyamide blended with 40% carbon and 30% glass fibre. Given there's 47 quid separating them, I know where my money would go, though both will delight riders with bikes on strict calorie controlled diets. Our light blue cage with black detailing was the perfect match for my fixed gear winter/trainer, but there's also white, silver, grey, blue, pink, red, black and green. The conical shape looks extremely alluring and is designed to hold bottles securely to prevent that incremental creep that can result in ejection over so-so road surfaces. 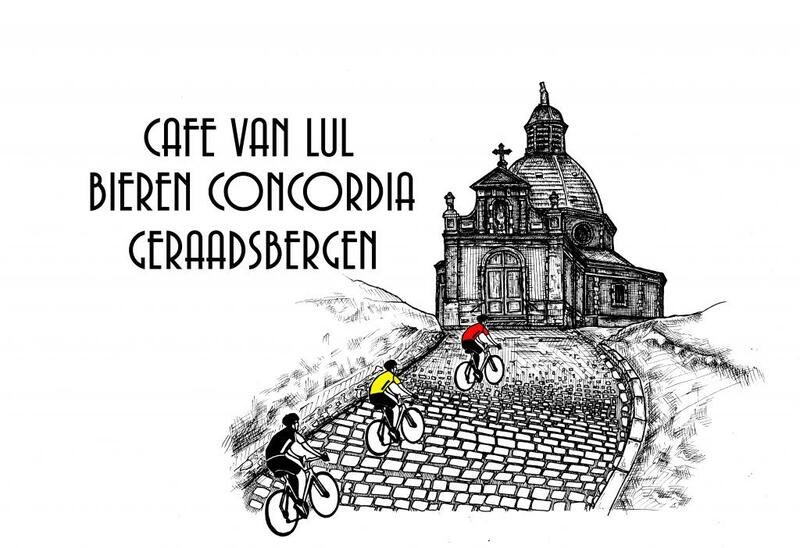 Word on the street suggests it'll withstand clattering across Flemish cobbles at 25mph without any mortar tendencies. While I've not meandered to the Continent with it, charging along miles of winding rural backwaters characterised by washboard tarmac couldn't induce any annoying buzz, let alone launching tendencies. Ported over to my 6061-framed pure bred cyclo-crosser, a further 20 miles of spirited trail blazing couldn't blot its copybook either. I've even run high power lighting on midnight meanders and rigidity proved comparable with metal versions. Better still, there's no risk of scratching insulated aluminium 'thermos' type bottles. When fitting, the sculpted walls favour long-handled T-type Allen keys rather than those adorning multi-tools - my knuckles fouled every half turn or so, which is frustrating when you're in a hurry. Tacx claim the cage's security doesn't hinder rapid release. I'm not completely sold on this. Regardless of bottle material, gunslinger-quick snatches require practice and a very definite shove/tug technique, which is very alien to the gentle slot 'n' slide motion I've come to expect from generic carbon/similar composites. This positive action also proved far from ideal in conjunction with triathlon-style behind-the-saddle caddies. Owners of smaller semi/compact geometry framesets might find side-entry models more convenient too, since the Deva occupies more space than the photos suggest. Despite this, and all things considered, I've really enjoyed using this version of the Deva and would generally recommend it. 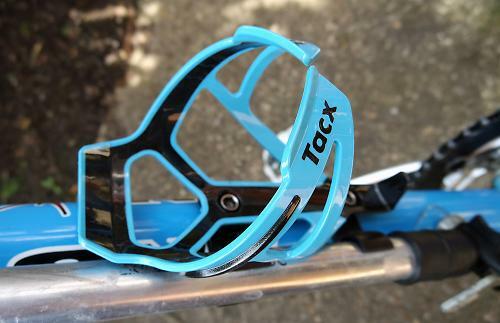 Tacx say: "The Deva distinguishes itself due to its optimal clamping. The cylindrical shape of the Deva considerably reduces the chance of the bottle working its way out of the cage and falling, preventing dangerous situations. In combination with the Shiva and Shanti bottles by Tacx, the Deva has optimal clamping, even on poor road surfaces. Yet the cage has also been constructed in such a way that placing the bottle into it is a simple and smooth action." "Easy and quick to use"
Generally agree but split second snatches require a bit of practice initially and may not suit everyone. 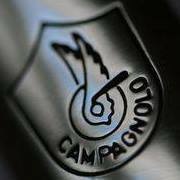 "There are two versions: the Deva Carbon (21 grams) of 100% carbon and the regular Deva (29 grams) that is made of polyamide reinforced with carbon and glass fibre. The inner frame of the Deva is black, the outer frame is available in the colours white, silver grey, light blue, pink, green, blue, red and black". Generally easy to live with but requires a definite tug, which may come as a culture shock coming from standard carbon composites. Overall, I've really enjoyed the Deva - it's lovely to look at and offers an excellent hold on most bottle types, including the aluminium 'thermos' type, over all surfaces, and I can well believe it's dependable over the cobbles. However, gunslinger quick draws required a definite tug technique that requires a little practice to perfect. Aesthetics, materials and firm hold. Split-second bottle release requires some initial practice to perfect and may alienate some. Is that an Elite bottle in a Tacx cage? Rules were broken here today. Anyone who has been to Chester City's Deva Stadium will know that Deva is Latin for breezeblock. 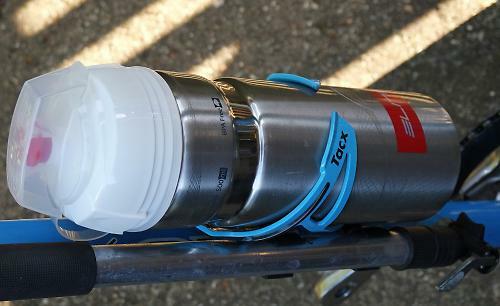 Having had my aluminium bottle 'ejected' from a cheap BBB cage twice now, once running it over with the rear wheel giving the bottle a rather massive dent, I have a feeling that this Tacx one is going to find its way onto one or two of my down tubes pretty soon. Thanks, Tacx. Or, Thacx. I bought this to replace a metal bottle cage on my seat tube. I like it. I also have a D-Lock holder on the same tube, and with the old metal cage I had to open the lock to get it through the bottle cage. This is much easier as the lock will pass easily through the gap in the middle. When I use it to carry a bottle I don't drink from it - I drink from the one on the down tube, so I don't need it to be very easy to get the bottle out. I think I'd probably be happy with a similar one on the down tube though. I prefer not to have obvious branding on the outside of my clothes or things I carry with me, but that's difficult to avoid and the brand name is subtle on the black version of this.